The species was first collected in 1945, officially described in 1956, and never collected again, and was therefore believed to be extinct by most botanists. 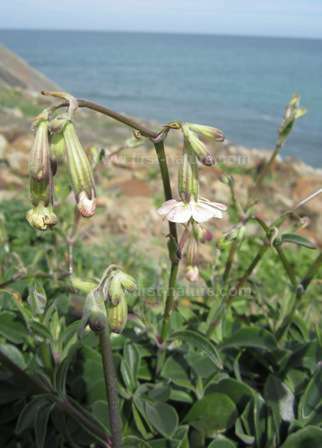 In fact S. rothmaleri still occurs on a few remote shale slopes in the Cape St. Vincent area (where it is legally protected) and the authors of Field Guide to the Wildflowers of the Algarve, Chris Thorogood and Simon Hiscock, have observed the plant in flower most years in the last decade. Silene rothmaleri is not extinct but it is extremely rare. The photograph on this page was taken in the Algarve, in Portugal.